Prema Racing has signed Sean Gelael for the 2018 Formula 2 season, and the Indonesian driver will test for the team following this weekend’s races in Abu Dhabi. 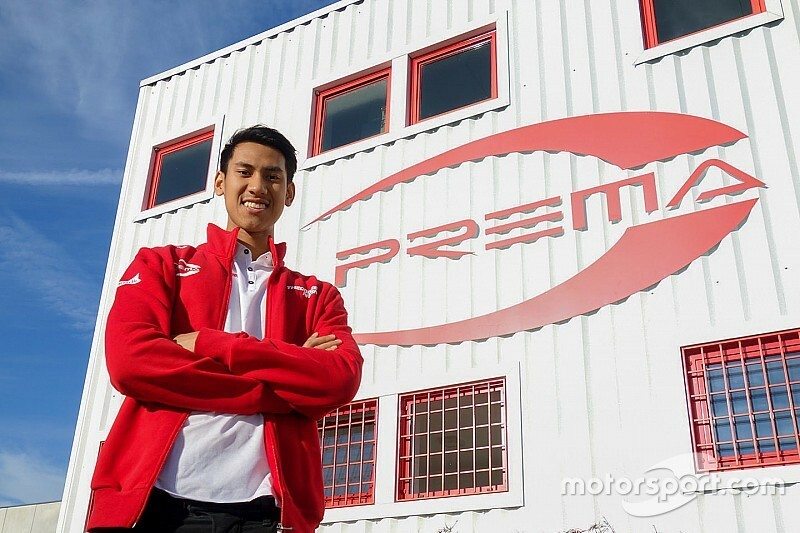 Gelael, who is currently 15th in 2017 F2 standings, will race for Prema in his third season in the second tier single-seater category that was previously known as GP2. Prema has won the last two F2/GP2 drivers’ championships – with Pierre Gasly and Charles Leclerc – since it joined the category ahead of the 2016 season. “Driving for such a successful team, so rich in history, is a great opportunity for every driver,” said Gelael. “Hopefully we will be able to build something important together with the team [and] we will go for a strong start at the Abu Dhabi post season tests to build momentum. 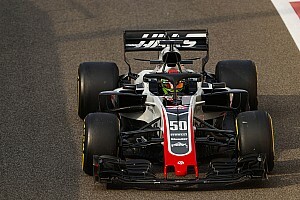 F2 will use its brand new halo-fitted F2 2018 car next season, and Prema team principal Rene Rosin outlined his belief that Gelael – who has experience racing in the Asian Le Man Series, Formula Renault 3.5 and the Formula 3 European championship, and took part in four Formula 1 practice sessions with Toro Rosso this season – can help the team as it develops the new challenger. “I’m proud to welcome Sean to our team,” Rosin said. “With his multifaceted experience, he will definitely be a key resource for the 2018 Formula 2 season as we will need to adapt to a brand-new car. 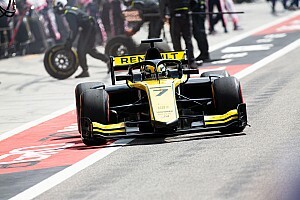 “In our first year in the series, we decided to field a mix of an experienced driver and a rookie [Gasly and Antonio Giovinazzi], while this season we went for an all-rookie programme [with Leclerc and Antonio Fuoco]. “In both cases, the results proved us right. For next year though, there will be a new factor in play and we will rely on experience to speed-up the development of the 2018 Dallara. Prema’s other driver for the 2018 season is yet to be revealed, but sources have linked Nyck de Vries, who has previously been backed the Jagonya Ayam scheme of Gelael's father Ricardo, and Oliver Rowland – currently second in the F2 points standings – with the team. Although Leclerc sealed the F2 drivers’ last time out at Jerez, Prema is still locked in a battle with the DAMS and Russian Time squads for the 2017 F2 teams’ title. 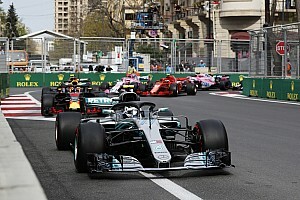 The Italian outfit is two points ahead of Russian Time going into the season finale at the Yas Marina track, with DAMS a further four points behind.